"The Claridges Nabha Residence is a heritage resort situated in the charming hill station of Mussoorie. Surrounded by magnificent hills, it is a perfect retreat to escape the city life. Set in the midst of 13 acres of cedar and silver oak forest, the summer retreat of the former Maharaja of Nabha is a perfect escapade. The Claridges Nabha has been the summer residence of the Maharaja of Nabha. The residence has hosted and entertained British officials, Nawabs, Rajahs and Maharajahs. This heritage resort has witnessed the splendor of the royal times. Till date it retains its charm and now is open for everyone to experience a luxury stay. 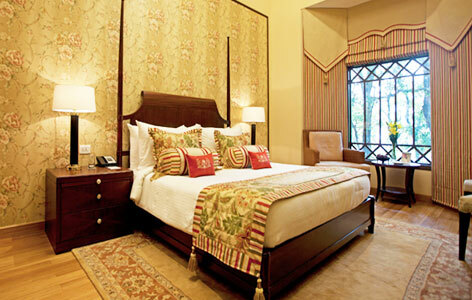 The Claridges Nabha Residence has 22 luxury rooms. Though divided into different categories but each room has its own charm. Every room is equipped with lavish comforts. Airy and stylish, the deluxe rooms are blessed with grand views. One can sight the cedar forest and misty hills beyond through the large bay windows. The rooms open out into the terrace that overlooks the landscaped gardens. The rooms is equipped with a range of luxury facilities. The Duplex room is spacious enough for a family to stay together. The room is divided in two levels. There are comfortable beddings for four. The lavish amenities and a beautiful view from the windows makes your stay pleasant. 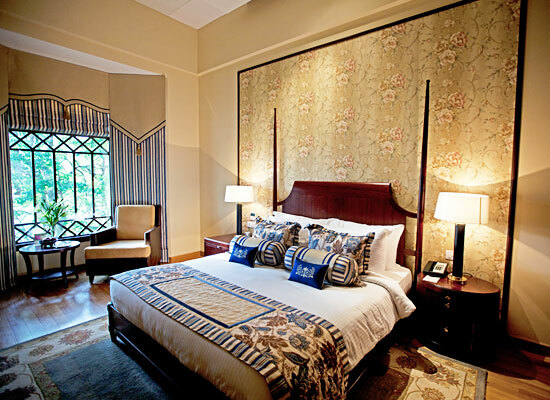 The Claridges hotel is a signature accommodation. 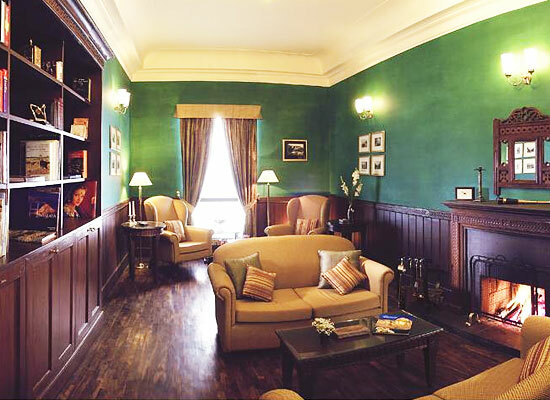 The heritage room has retained the charm from the days it served as the summer residences of the Maharaja. The rooms have separate lounge and vanity areas. Lavish comforts add to the experience. Enjoy plush beddings, entertainment and all modern facilities. The Club room open up to the scenic views. The interiors are stylishly decorated and are equipped with modern conveniences. Enjoy the comfort of spacious bathrooms with soaker bathtubs. The Pavilion is a multi-cuisine all day diner. 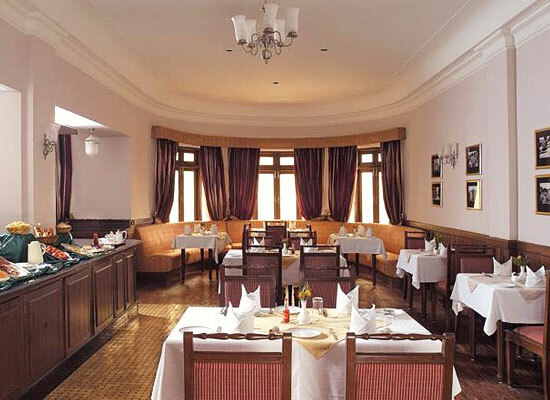 Guest are treated to options of Indian, Continental and Chinese specialties. Photographs from the days of the Maharaja grace the walls. It is a fashionable hangout for social life apart from the delicious dining. Savor the delectable platters with family or enjoy a candle light dinner at a private parlor. On prior notice, the chef can prepare any special request. The ideal place to taste the finer things in life, the Victorian Bar fashions pleasant evenings. Decorated in its colonial furnishings and pictures of the erstwhile rulers of Nabha, the ambience is magnificent. You will be contented to luxuriate with a drink and snacks. Mussoorie is famous for Camel's Back Road, shaped in the form of a camel's hump. Gun Hills deserves special mention because of its exquisite scenic beauty and grandeur. St Mary's Church is perhaps the oldest Christian Church in the Himalayan range and it is located in Mussoorie. Therefore not only for the Tibetian lamas, Mussoorie is also famous for the Christians who come to visit here. With its numerous temples it also attracts a pious Hindu traveler.